So I just wanted to post a quick update on our first day which was really just a travel day. Our flight was scheduled to leave Seattle at 5:55 but due to delays we didn’t leave until almost 6:45. This made things a little nerve-wracking for us knowing that we only have a 40 minute layover to catch our next flight in Houston. I tried talking to a flight attendant about it and she was no help. My hope was that they would either hold the plane or it would be delayed or something. I was talking to my brother-in-law about what to do. He told me to “use my superpowers” so I prayed!!! I prayed that God would help us make our connection and I specifically prayed that our connecting gate would be moved closer. We landed in Houston it was roughly 12:35-12:40 our connecting flight to Roatan was scheduled to leave at 12:52. We taxied into gate A16 and they announced that our connecting flight was moved to A17!! These are the little moments that so many miss. They are the moments of God saying, hey I’m here with you…STOP WORRYING!! The flight attendant asked people to remain seated if they didn’t have a connecting flight. Of course everyone decided to get off the plane. This struck me…we are always in such a rush. Little moments like this are way you can serve other people. So back to the story…by the time we made it on our plane it was 12:50!! We made our connecting flight with 2 minutes to spare! 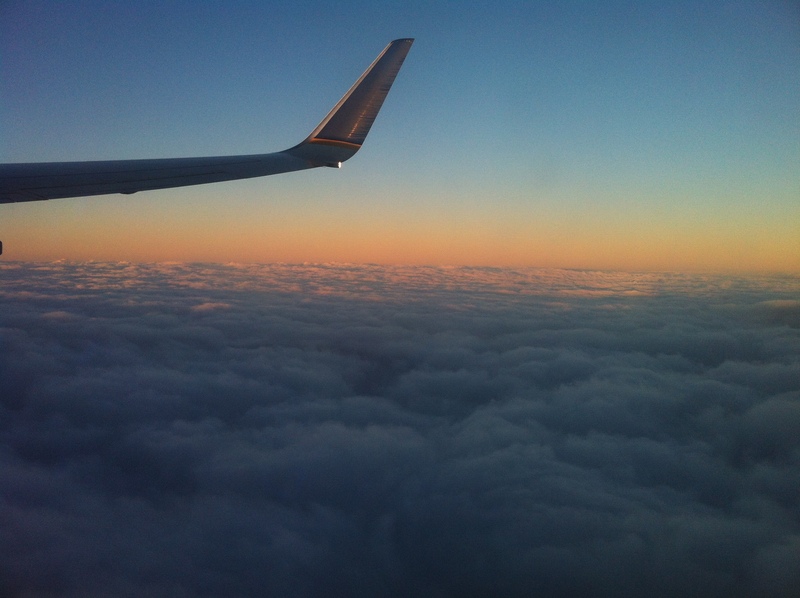 We got on the plane…then we sat for about 10 more minutes…they were loading up our luggage! And every single piece of luggage arrived in Roatan! 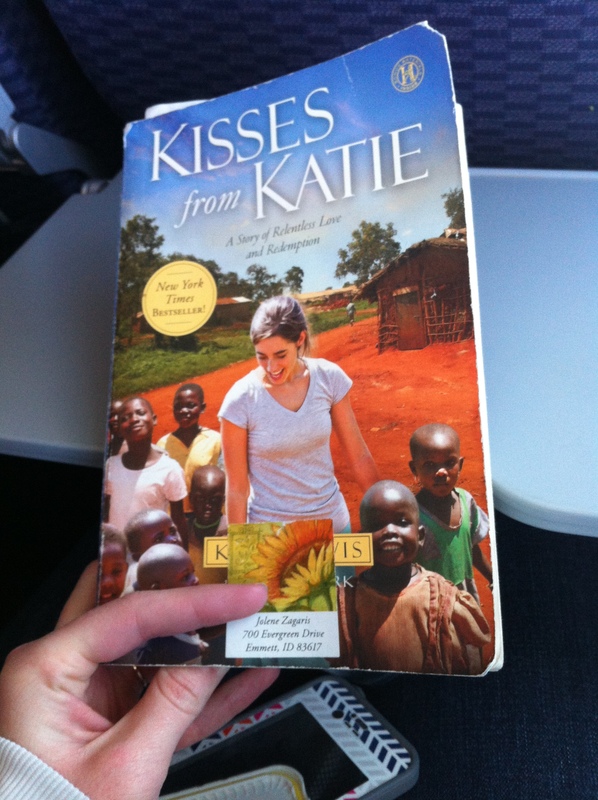 While on the plane I’ve been reading “Kisses From Katie”. 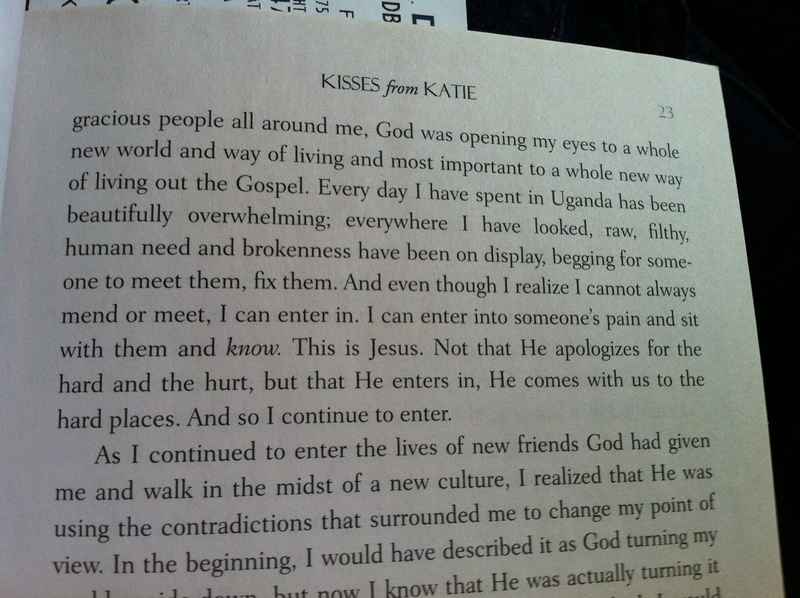 It’s about an eighteen year old girl who moved to Uganda and has essentially adopted something like 13 kids! Anyways it’s totally my kind of book! I’m pretty sure this is going to be a challenging book! 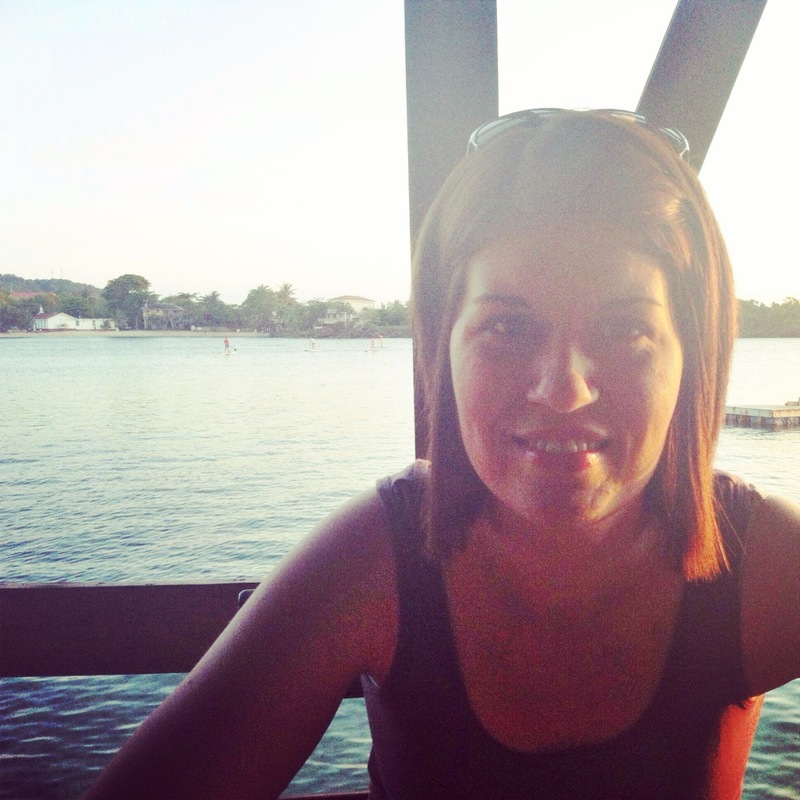 So we all made it to Roatan safe and sound. We ended our evening at Half Moon Bay enjoying a nice dinner together! Today our plans are to head to church, hang out at the beach for a little while then have dinner with both the families we are building for. It’s going to be a good day! !